One asks the question of themselves from time to time: “Where’s this going to go? Is this really sustainable?” And clearly it’s not if we continue the patterns that we’re on. Geography, the science that you all work with, is an integrating science of our world. It brings together all the other sciences–hydrology, geology, climatology, sociology, anthropology, and all of the “-ologies” which rest on the spatial dimension. This framework provides rich content and also a context for understanding everything. And understanding is the key. It’s one of the keys that will help us address and take on the big challenges of our world today. It’s clear to me that that is what this community is all about. GIS, in its digital manifestation of geography, goes beyond just the science. It provides us a framework and a process for applying geography. It brings together observational science and measurement, and integrates it with modeling and prediction, analysis, and interpretation, so that we can understand things. This is its foundation. This understanding can be integrated into designing and planning, and decision making, and ultimately action. This cycle is at the heart of what GIS is about. And whether you are conscious of it or not, this is what you’re actually implementing in your various organizations, creating information-based understanding that leads to rational action. For some of your organizations, GIS is becoming almost essential for how you do things, how you think, and how you act. It’s also helping us be smarter. You are measuring everything. You are integrating things. You are gaining new insights. You’re automating and visualizing. You’re seeing the whole, thinking holistically, and increasingly operating in real-time. For me, that’s the meaning of this whole “technicalization” of the planet, and smart thinking and smart action. So you might ask, what exactly is geo-enlightenment? Like us as a community, we’re interconnected as individuals. We’re interconnected with our planet. The planet and its ecosystems are rich with these interconnections. What we do here affects there. 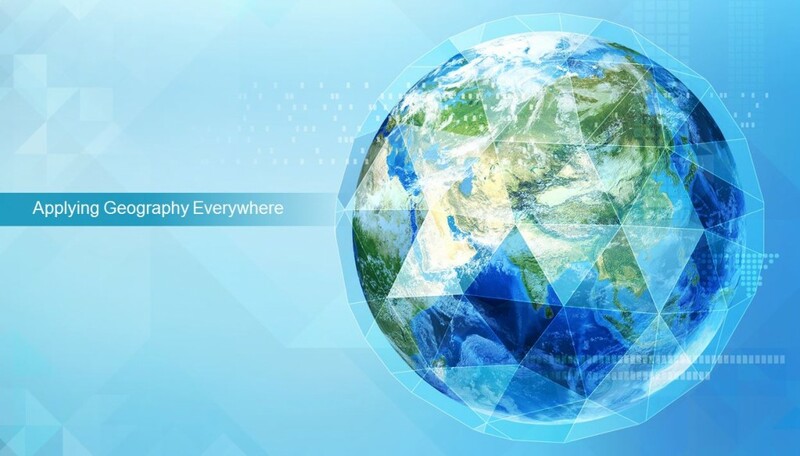 So geo-enlightenment is really about understanding this interconnectedness and also applying this knowledge everywhere to make the world a better place. Who’s going to do this? My feeling, my belief, and my conviction is that this is all about what GIS professionals do. You are the ones who are waking up the world and powering this new period of geographic enlightenment. Whether you are learning and teaching, whether you’re creating new solutions, whether you’re showing others what’s possible, your footprints today are what other people are picking up and expanding upon. What really excites me about our community is that you are so committed. I hear the “hero” stories of working all night, of not just accepting the way things are, but moving on, and thinking, and making sure your lives and work matters. This is the underpinning culture of GIS professionals.